Text by Prof. Dirk Pleiter, research group leader at the Jülich Supercomputing Centre (JSC) and professor of theoretical physics at the University of Regensburg. Being a person, who had the opportunity of being involved in the design of special-purpose processors, any new process architecture for high-performance computing (HPC) is fascinating. As of today the market for server processors, which can also be used for supercomputers, is dominated by a single architecture, namely the x86 architecture, for which solutions are provided mainly by Intel but also AMD. For supercomputers becoming more powerful in the future, more competition for better (and cheaper) solutions is needed. The situation is already changing: The new pre-exascale computer Summit, which has been deployed in the US and is currently the world’s fastest supercomputer according to the Top500 list, uses an alternative processor from IBM based on the POWER architecture. In Europe, where the European Commission is about to fund the development of a European server processor, the focus is on the ARM processors, i.e. yet another alternative architecture. Whether new architectures making it to supercomputers is not only a question of technical excellence. New products also have to find a market that is sufficiently large. Only by selling a large number of processor, new money becomes available to develop the next generation of the product. A supplier for the vastly evolving HPC market needs to be able to provide new, innovative products within a few years. As a scientist, I have not experience in business development, but I can nevertheless help to help companies to cooperate on developing a market for ARM-based products. The result is the “Open Edge and HPC Initiative”, which finally went public today. 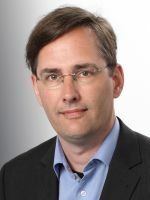 Prof. Dr. Dirk Pleiter is research group leader at the Jülich Supercomputing Centre (JSC) and professor of theoretical physics at the University of Regensburg. At JSC he is leading the work on application oriented technology development. He has played a leading role in several projects for developing massively-parallel special purpose computers, including QPACE.